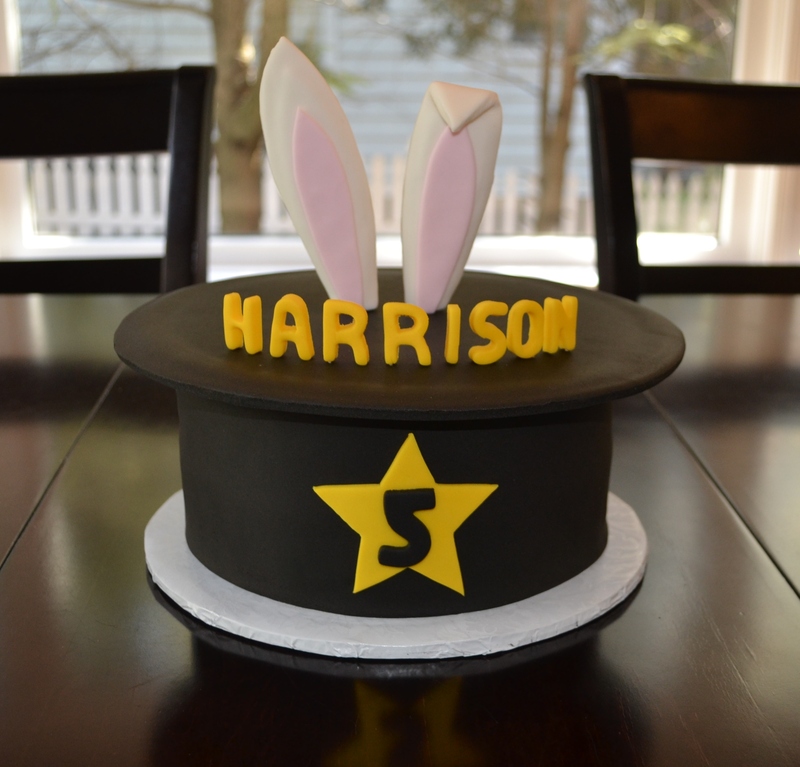 My client for this cake was throwing a magic themed birthday party for his son. 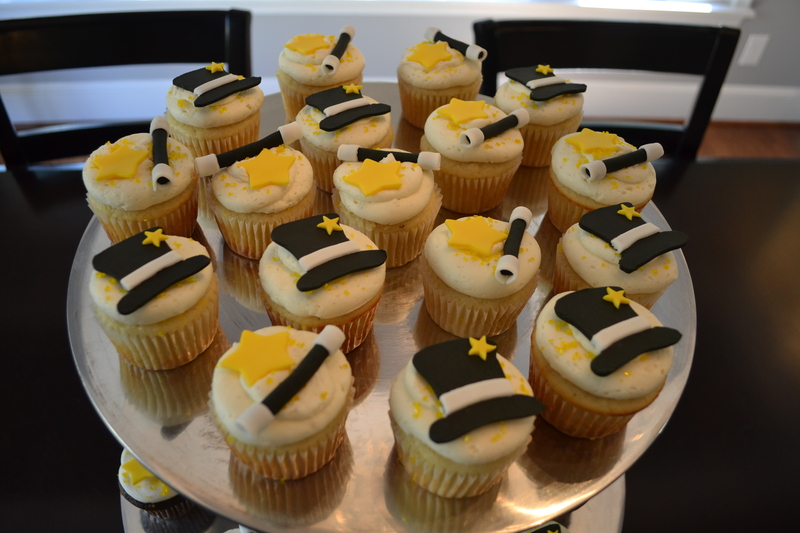 He wanted a main cake for the traditional candle lighting, but wanted to serve cupcakes to his son’s guests. For that reason I did a smaller, 8 inch round cake, and then completed the look with complementing cupcakes.